Why seek solutions to your problem from the created when you can go to the creator? Why seek answers from mere men? Why yield to the suggestion coming from whoever to go to someplace where they can carry out some divination concerning your challenge? Why bow to other gods? One major thing that makes it impossible for us to hear God speak to us is SIN. Sin creates a thick wall between ourselves and God. In science, we were taught that sound waves are transported by air. That’s why when you are locked up in a brick-walled room, you won’t hear a thing being said on the outside. Sin builds a sound-proof wall around us. Only repentance can bring down that wall. Just like God would not hear us when we live in sin, we also will not hear Him when He speaks. Sin is an ear-plug. You must let the blood of Jesus watch you if you must hear Him. Behold, the Lord’s hand is not shortened, That it cannot save; Nor His ear heavy, That it cannot hear. Then the Lord saw it, and it displeased Him That there was no justice. But your iniquities have separated you from your God; And your sins have hidden His face from you, So that He will not hear (Isaiah 59:1-2). The Holy Spirit is whom we need to hear from God. He tunes our antennas to the frequency of God. 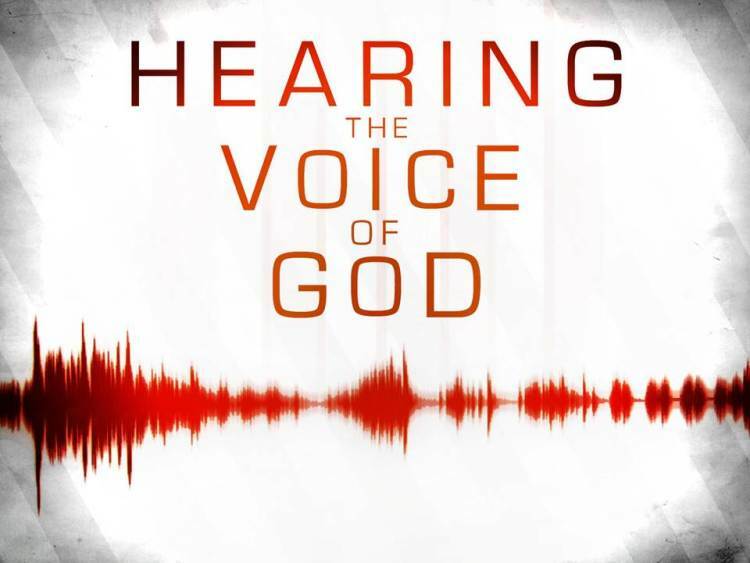 It will therefore be impossible to hear God speak if the Holy Spirit is not in you. Before you start complaining that you can’t hear from Him, check yourself. The problem in the communication line must lie in you. God’s promise stands sure. He has promised that once we are endowed with The Holy Spirit, we will be in the know of the ‘hidden’ things. “In the Last Days,” God says, “I will pour out my Spirit on every kind of people: Your sons will prophesy, also your daughters; Your young men will see visions, your old men dream dreams. When the time comes, I’ll pour out my Spirit On those who serve me, men and women both, and they’ll prophesy (Acts 2:17). The issue with many is their inability to wait for God to speak to them. The ‘NOW’ syndrome has taken over many people’s lives. It is eating into the lives of many children of God today like cancer. They are so in a hurry that they decide to look for shortcuts. They choose to go to palm readers, card readers, sorcerers, etc. They don’t believe in the ability of God to do all things. They have forgotten that no one can help God. He is the All-knowing God. In Him alone lies the answers that you seek. God has spoken once; twice have I heard that power belongs to God. 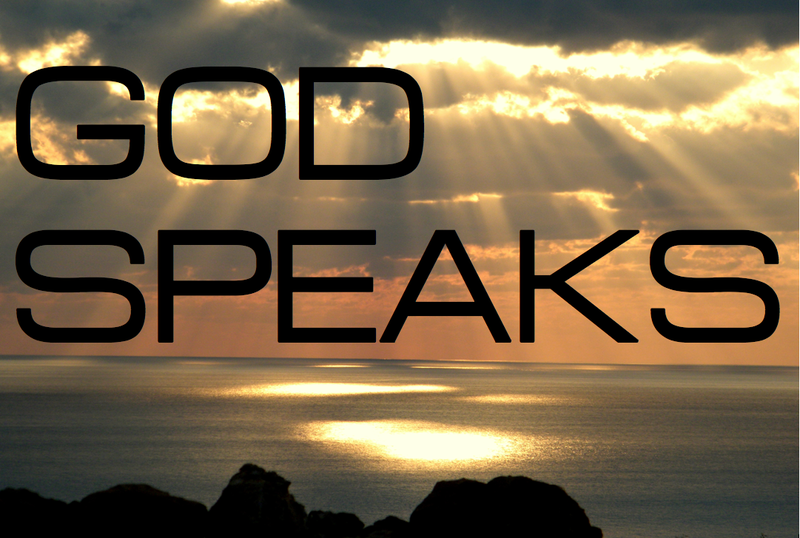 In case you are still doubting that God speaks, I tell you today that He does speak. Jesus is the Way and the Truth. You want the truth, Jesus is the only Way to it. Does God go silent on us? Why do we seem not to hear him sometimes? We're not open to the fact that God is dynamic and He chooses how He answers us. . .
Like in the case of Elijah (1Kings 19:11-18), he was expecting to hear from God in a totally different dimension from what God decided. God revealed Himself in a still small voice. We must guard our hearts with all diligence; seek an atmosphere of peace within us; patiently wait upon our watch to hear what He will say to us (like Habakkuk said in Hab 2:1); rid ourselves from every defilement; unclog our ears; and be REALLY ready for His Will (no matter what that is).